Our innovative line of replacement tubs come in a variety of style options for the best in beauty and functionality. 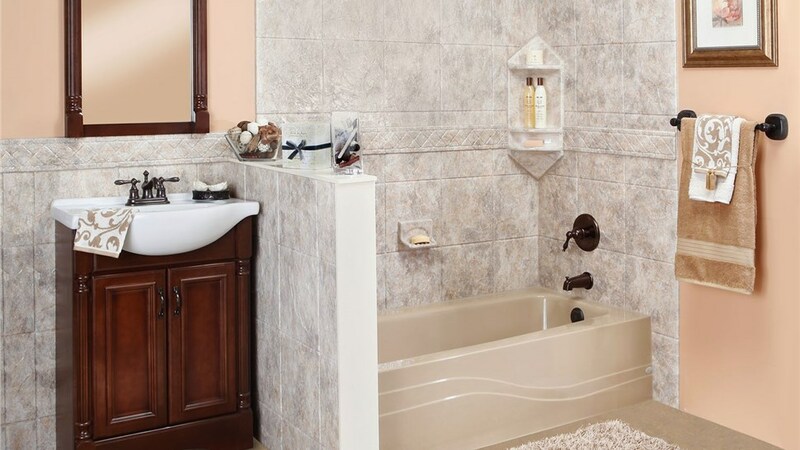 We offer vast bathtub product selection, expert bath design and professional tub installation in north Texas and southwest Oklahoma. 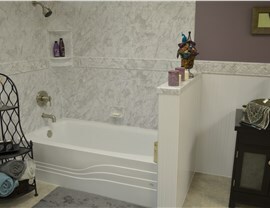 Quality service and exceptional products are what set Luxury Bath Texoma apart from the crowd! 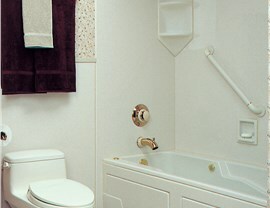 When you need to replace your old bathtub, look no further than the experts in bathtub replacement! Over time, old bathtubs can lose their appeal and function due to hard water deposits or the effects of mold and mildew. To get you back to bathing in luxury, we are committed to making your bathtub replacement process a seamless experience from start to finish! 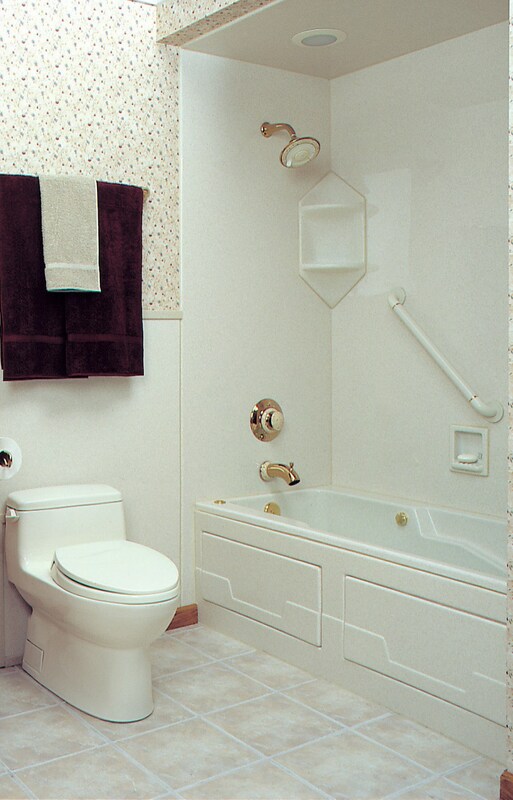 Our expert designers will help you choose which exclusive SimplyPure bathtub best suits your needs. Whichever design you choose, you can’t go wrong with the premier benefits that come with each of our replacement tubs! Microban Technology – Our exclusive acrylic materials are infused with the power of Microban to reduce the need for cleaning and defend against unwanted germs. Eco-Friendly Products – Luxury Bath Texoma is dedicated to green business practices, and all of our tubs are 100% recyclable! Luxsan Signature Acrylic – SimplyPure bathtubs are constructed from highly durable, multi-layer acrylic that can keep your tub water warm up to four times longer! 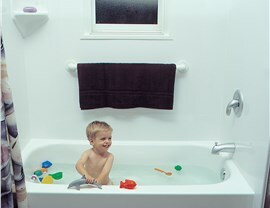 Two-Day Installs – Our no-mess, efficient installation will have your new bathtub ready for use in as little as two days! Don’t let your worn out bathtub get you down! 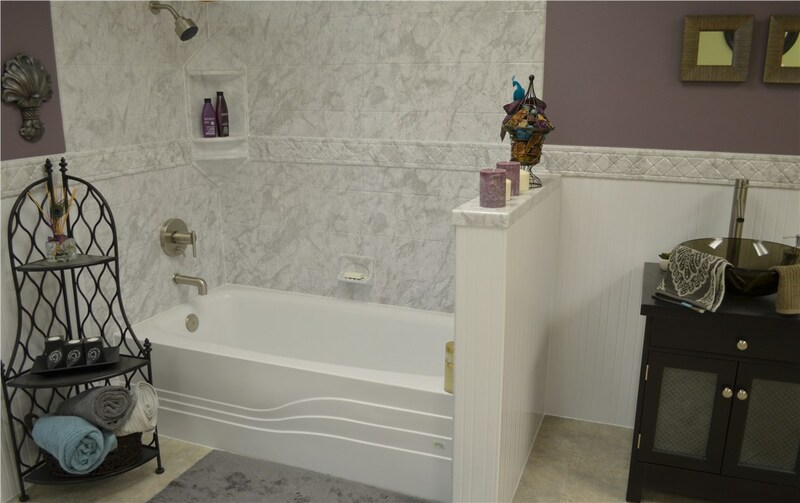 At Luxury Bath Texoma we understand the needs of homeowners and will work with you to help you choose the bath products and tub replacement services that best meets your family’s needs. Not only that, our exclusive replacement bathtubs come in a variety of beautiful styles to match any décor! 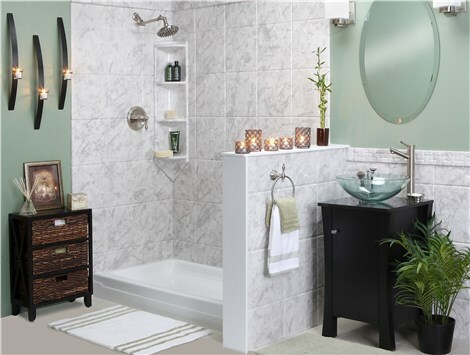 Spa & Whirlpool Tubs – Relax in the comfort of your new spa or whirlpool tub by choosing a replacement bathtub from our premier product line. Walk-In Tubs – The walk-in tub options by Luxury Bath Texoma are the ultimate choice for style, functionality, and accessibility. 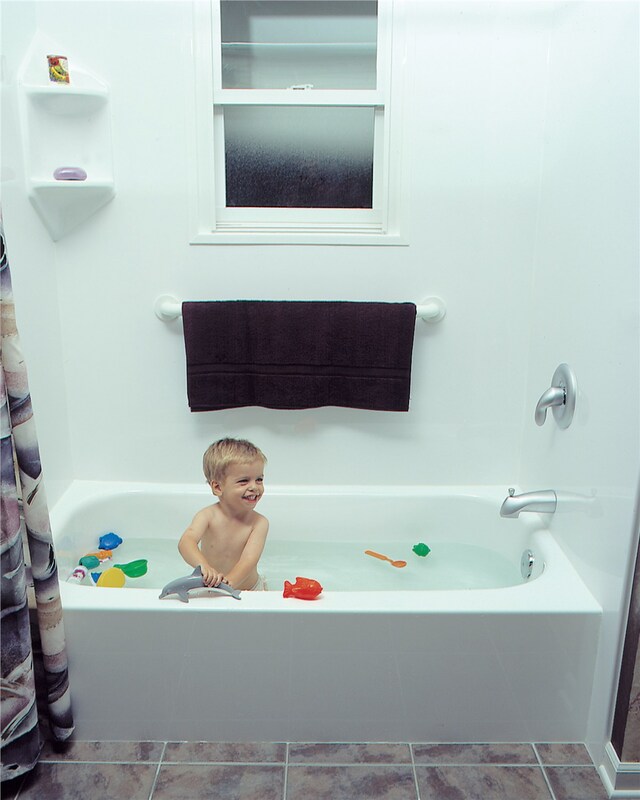 Enclosures – For a traditional tub/shower combination, our exclusive doors and enclosures are custom designed to fit the unique needs of your family or master bath. Bath Wall Surrounds – With an expansive selection of design options and the highest quality products, your new surround is guaranteed to make your bathroom a showpiece! 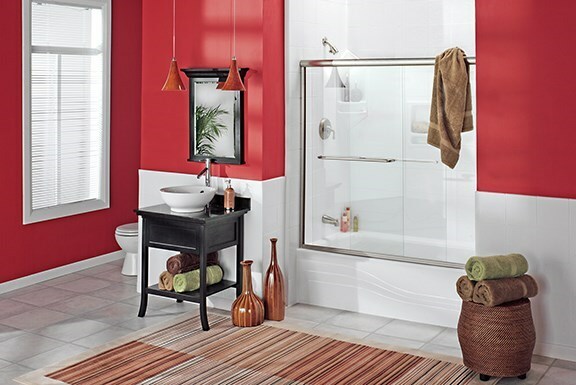 Our exclusive replacement bathtubs come in a variety of beautiful styles to match any décor! 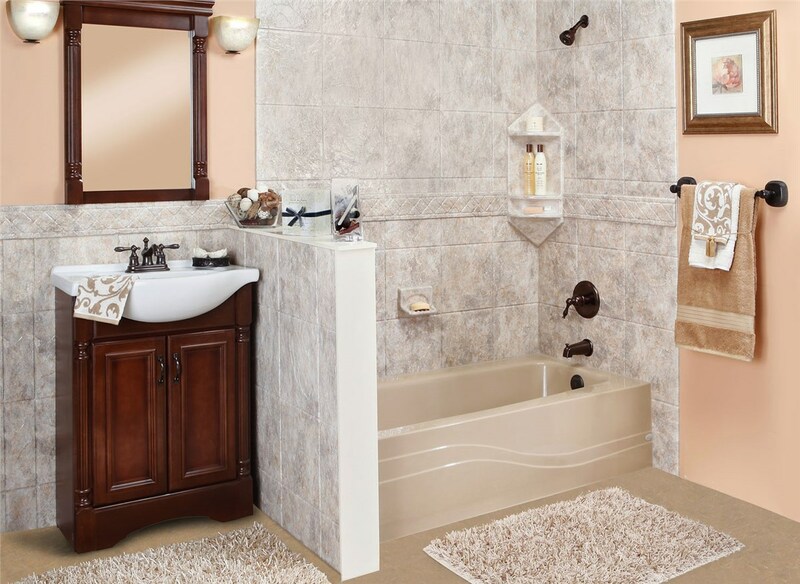 Replace your aging tub with innovative products from Luxury Bath – call our tub replacement professionals today!